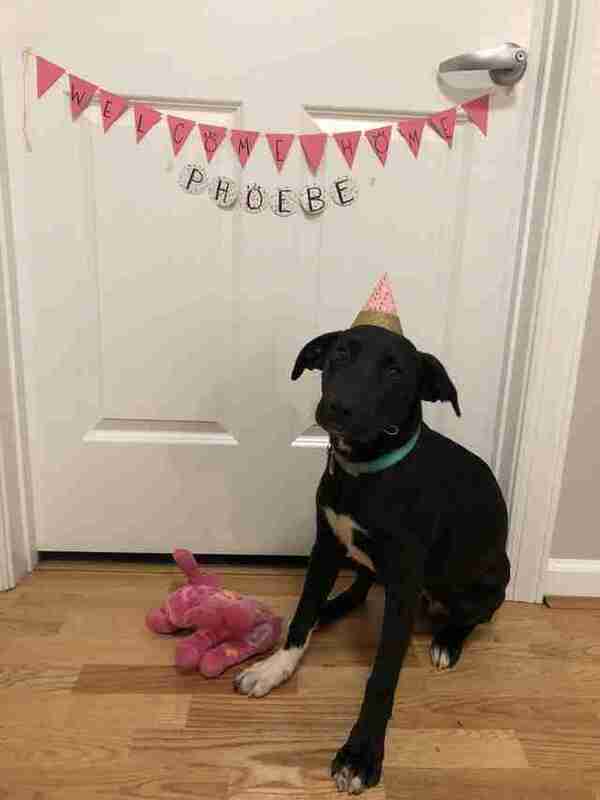 Phoebe’s mom was picked up as a stray in Burke County, Georgia, and gave birth to Phoebe and her five siblings at a local shelter a few days later. 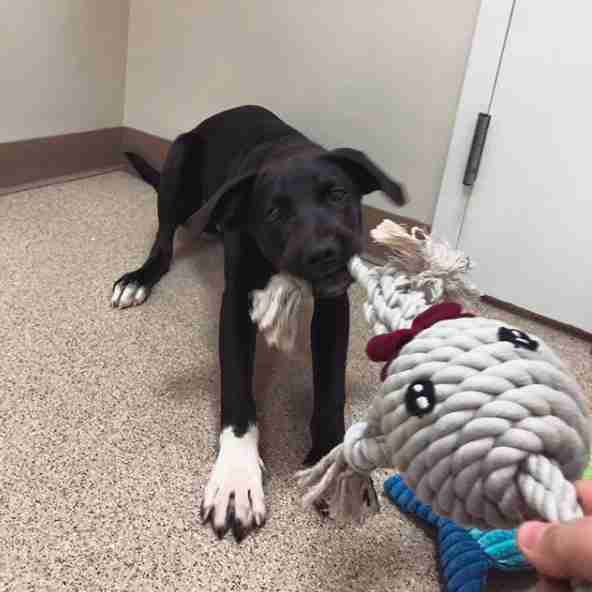 The little family was taken in by a foster until the puppies were old enough to be adopted, and then all seven dogs were transported to Northeast Animal Shelter in Salem, Massachusetts. From the very beginning, Phoebe was always a nervous puppy. She was terrified of pretty much everything, and the shelter wasn’t sure why. 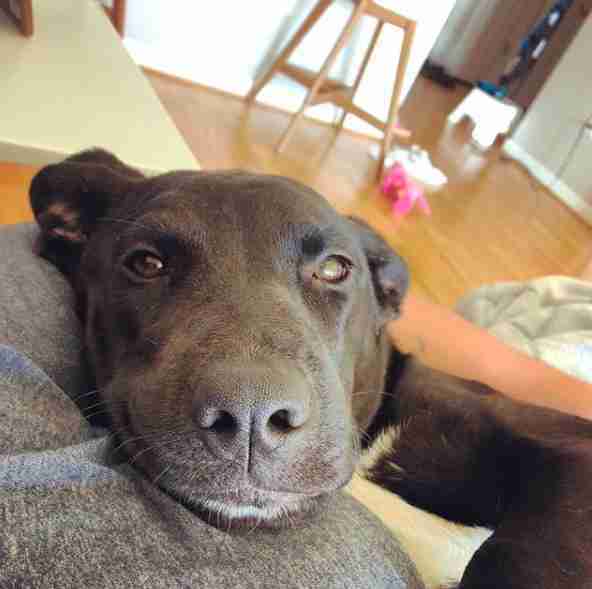 It seemed like she would have a hard time getting adopted because she was so fearful, until a couple came to the shelter and immediately fell in love with her. Jillian Kuehn and her girlfriend were looking to adopt a dog, and decided to wander around the Northeast Animal Shelter one day to meet some potential new family members. 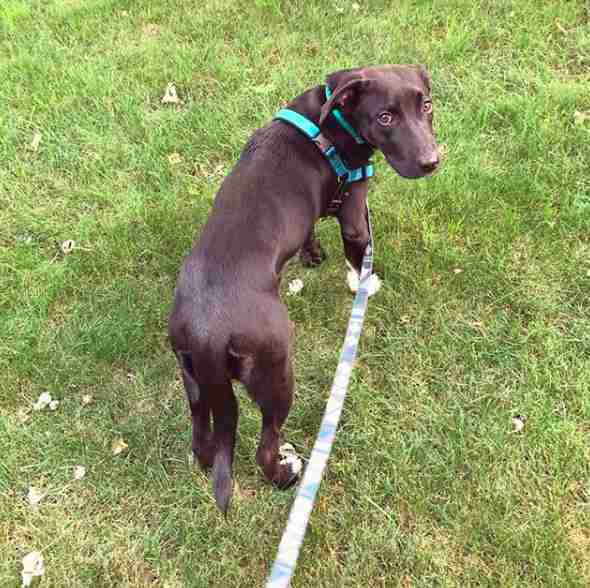 Most of the puppies they came across seemed pretty nervous — but as soon as she spotted them, Phoebe walked right up to the couple and started sniffing them. This happened again as they did another lap through the shelter, and it was then they decided that they had to meet the sweet 6-month-old puppy. After spending time with Phoebe, the couple decided that despite her obvious anxieties, this was the dog they had been looking for. 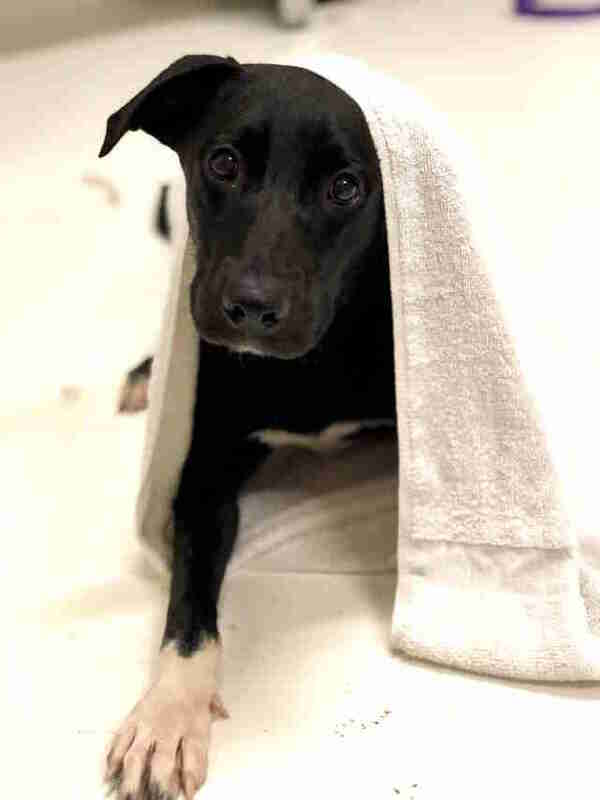 They came back to visit her at the shelter two more times to play with and get to know her, and were getting ready to take her home with them — but the shelter staffers were less than optimistic about Phoebe and her fearful nature. 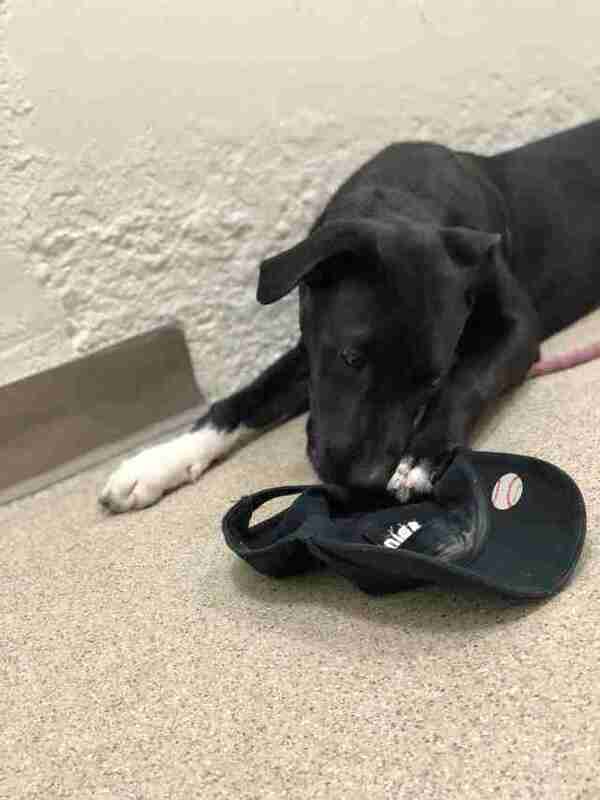 Despite the shelter’s warnings, there was something about Phoebe that Kuehn and her girlfriend just couldn’t shake, so they made it official and adopted nervous little Phoebe into their family. When Phoebe first arrived in her new home, she was a nervous wreck. There wasn’t a single thing that she wasn’t afraid of, and every new experience was a huge challenge to overcome. She kept having accidents, and she hated going outside. Going anywhere near the car made her sick, she was terrified of going through doors, she hated being left alone and she and her new cat brother Opie did not get along at all. She had so many fears and anxieties, and every day, it seemed the list just kept getting longer. Through it all, though, Phoebe’s new parents remained incredibly patient, and they helped her overcome each new obstacle as best as they could. They gave her tons of treats every time she was brave enough to approach or do something new, and they came up with lots of different coping mechanisms to help her get past her fears. Two months after being adopted, Phoebe is like a completely different dog. She now absolutely adores all people and dogs, and loves meeting every new person who comes into her life. 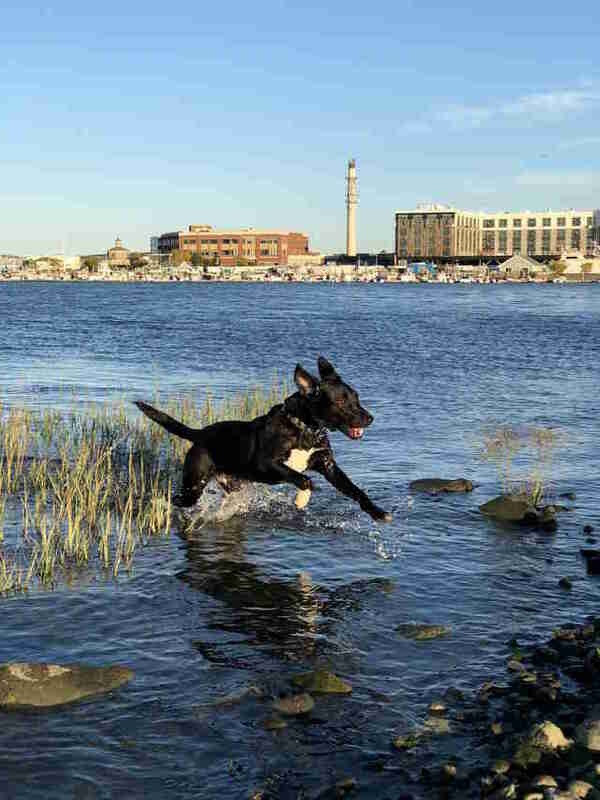 She loves going to doggy day care and running around with all her new friends, and her favorite place to visit is the beach, where she gets to run, swim and explore all sorts of new and exciting things. New things don’t scare her the way they used to, and she becomes even more brave with each passing day. There are still some things that scare her, like car rides, but her family knows that with patience and love, she can eventually overcome any fear she has. She’s the silliest, sweetest puppy around, and her parents couldn’t be happier that she’s the one they chose. You can follow Phoebe and all of her adventures on her Instagram account.